The Anahid Chapter was established in 1958 by ARS members of the “Mayr” Chapter in Hollywood, who resided in the San Fernando Valley. These founding members were: Siranoush Gulesserian, Aghavni Khandigian Gulesserian, Dalita Jerahian, Dikranouhi Kaladjian and Meline Keshishian. The Anahid chapter members believed in the value of educating the youth and were instrumental in the establishment of the Ferrahian High School in Encino in 1964. 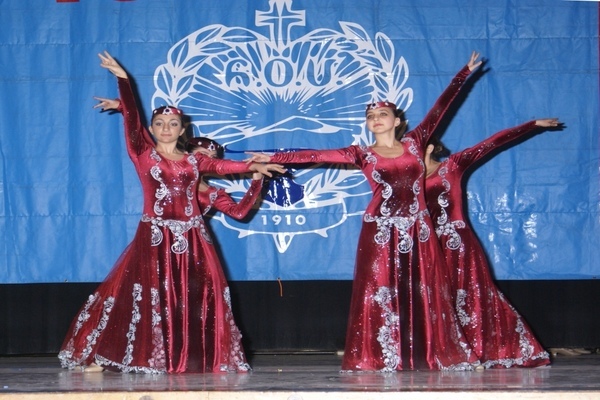 The ARS 44th Annual Convention decided to fund the first Armenian high school in the United States with a donation of $25,000. In a desire to introduce Armenian traditions to the student body, the chapter celebrated “Hampartsum” (Ascension Day) with students and faculty in the school courtyard, with proceeds paying for tuition assistance to needy students. The chapter holds its membership meetings at the school, and continues its substantial financial support to the school. In 1972, the chapter sponsored the Saturday School, which continues to operate at the Ferrahian High School buildings. Initially, the chapter instituted monthly breakfasts or luncheons to fund the Saturday School. The tradition continues to this day. 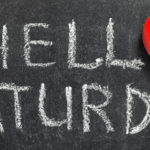 The Saturday School pays special attention to music and art instruction as a part of our heritage. Currently, Maestro Alfred Mardoyan is in charge of music instruction. Under his direction, students sing Armenian songs enthusiastically. Due to the growth of the Armenian community in Glendale, in 1973, the chapter established a branch of the Saturday school in Glendale. Thereafter, in 1975, the move led to the establishment of a new chapter, “Sepan” in Glendale. The chapter assists the greater community, by providing financial assistance where needed. During the period 1976 to 1978, significant assistance was provided to new immigrants from middle eastern countries in turmoil, particularly, Iran and Lebanon. As the community’s educational needs expanded, the chapter also raised funds for the Holy Martyrs Kindergarten and Elementary School in Encino. The kindergarten was dedicated to the ARS Anahid Chapter with a plaque. One of the exceptional accomplishments of the chapter is decorating an Armenian Christmas tree at the Ronald Reagan Library in Simi Valley, at the annual holiday exhibit, since 2002. The tree was decorated with pomegranates, grapes, wheat, miniature Armenian churches and musical instruments, and dried decorated gourds. Each year, during February, requiem services are held at churches in memory of ARS members and benefactors. It is a chapter tradition to prepare and serve “herissah” in memory of the deceased, following requiem services. In response to the humanitarian need created with the 1988 earthquake in Spitak, Armenia, the chapter, along with other ARS chapters all over the world, channeled the community desire to offer assistance to the survivors by mobilizing its members and resources. The chapter supported up to 16 orphaned children in Echmiadzin, Armenia; and Askeran and Hadroud in Artsakh for two decades through the ARS Sponsor-A-Child program. Contributions to the Armenian Youth Federation and its summer camp in Wrightwood, California; Thanksgiving Day Armenia Fund Telethon, Javakhk Fund, ARS Endowment Fund, ARS Armenia-Artsakh Programs, and ARS Mother and Child Clinic and Birthing Center in Akhourian, Armenia. The Anahid Chapter continues to attract new members, who pledge to devote their lives to the ARS mission. Registration & Back to School: Saturday, September 8, 2018; Hours: 9:00 a.m. – 10:00 a.m.
School Schedule: Every Saturday from 10:00 a.m. – 1:00 p.m.